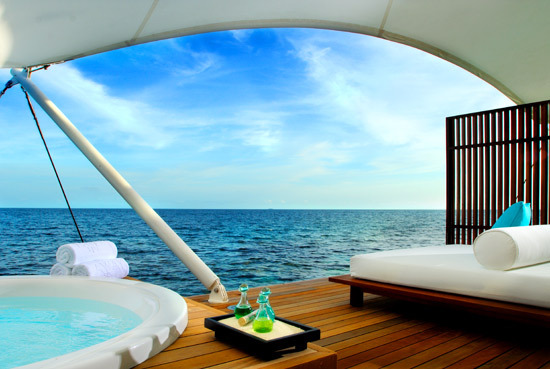 W Retreat & Spa – Maldives presents Let It Glow, a newly restyled concept that unleashes a fresh new take on luxury travel. 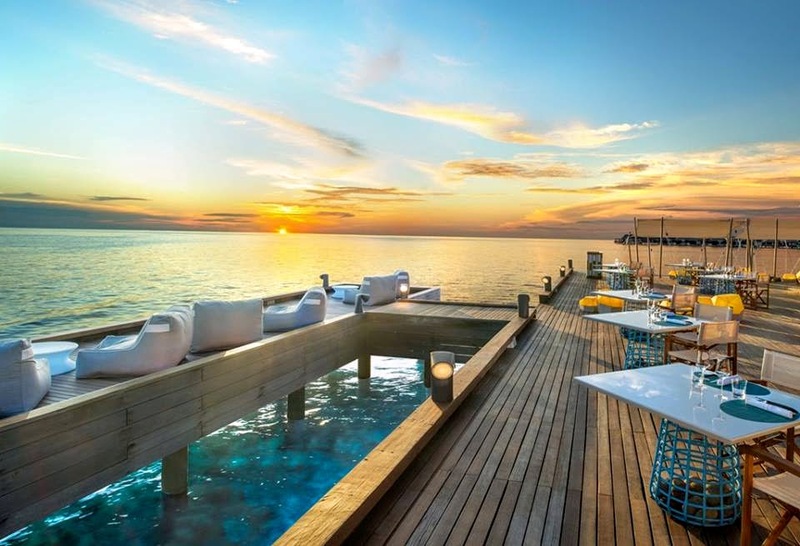 Part of W Hotels Worldwide, the Retreat reflects a unique vision of the Maldives that cater to the worldly travelers seeking unforgettably exuberant experiences. Curated by cutting-edge trend influencers, now and beyond, of Angela Chang, Director of Design, Starwood Hotels & Resorts Asia Pacific; Tahir Sultan, well known fashion designer; Alec Monopoly, famous street artist; Tara Stilles, yogi and W Hotels’ FIT consultant; Su-Man Hsu, the most in demand celebrity facialist; and renowned DJs such as Scarlett Etienne, Silky and Erica Rhone, to name a few. 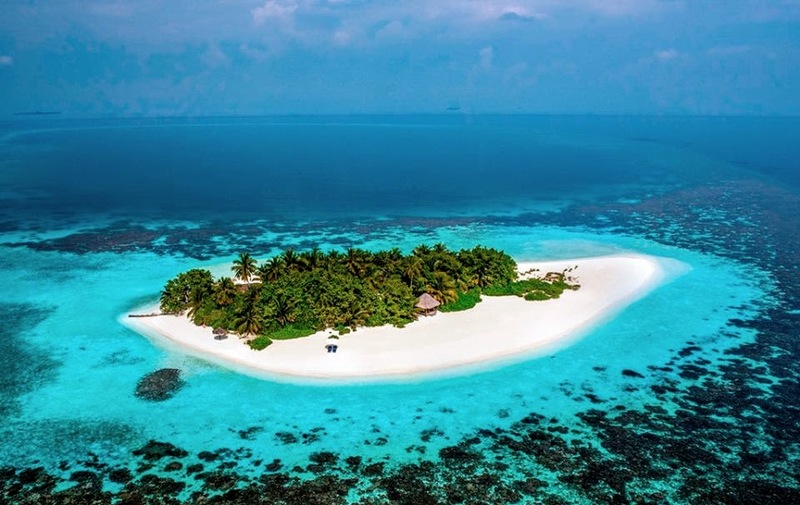 Trendsetters also include talents from W Retreat & Spa – Maldives such as Paul Lewis, Director of Cuisine; Vikas Kumar, B&F Director; and W Insider Chunky Mathew, W Hotels’ version of the traditional concierge. Led by Angela Chang, the new look of the Retreat evokes a sensory experience that reflects the perfect blend of W’s innovative architectural design and contemporary aesthetics. At the same time, the colours, materials and glowing elements convey the unique, vibrant and playful personality of the island. Borrowing from the Indian Ocean’s colourful marine life, twinkling stars and fluorescent plankton, the newly styled Retreat pulses to the concept of ‘Infinite Days, Infinite Nights’. Ideally located on the seaside with breath-taking scenery, the restyled Wonderful Beach Oasis retreats bring to life the synergy of the beach and Indian Ocean. A red palette is used throughout, with a red wooden Ming chair design by Neri & Hu for Stellar Works, as well as red patterns of jellyfish and corals on signature pillows. Bespoke design elements encompass a soft look and touch, including glowing rope lamps designed by Christian Haas for a gentle ambient light, and a red cotton hand-knotted hammock handcrafted from recycled material by communities in Nicaragua. Set over the Indian Ocean, the newly designed Fabulous Lagoon Oasis and Spectacular Ocean Oasis overwater retreats capture the energy of the Maldives’ underwater sea life with blue and white tones. Signature items include a white super-sized stingray rocking chair designed by Thomas Pedersen as a modern interpretation of the classic rocking chair, a jellyfish see-through coffee table, stunning Medusa bedside lights designed by Roxy Towry-Russel, a glowing starfish pillow and an Italian designer trolley bar that highlights the cocktail culture of the W brand. 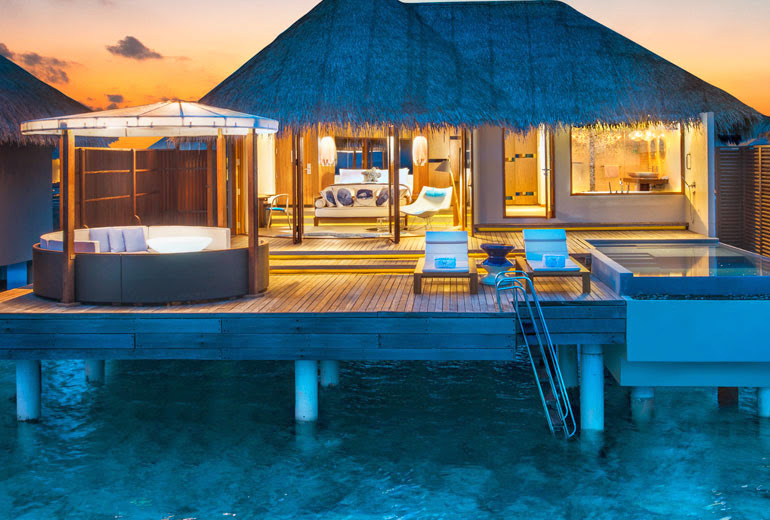 W Retreat & Spa – Maldives features 78 private retreats and suites, including 28 Wonderful Beach Oasis, 25 Spectacular Ocean Oasis, 21 Fabulous Lagoon Oasis, 3 WOW Ocean Escape and 1 Extreme WOW Ocean Haven (the W brand’s interpretation of the Presidential Suite). Each chic and spacious retreat features a king-sized signature W bed, deluxe Bose sound system , 42-inch television, wine refrigerator, delightful Munchie Box (the W brand’s reinterpretation of the staid mini bar), sumptuous Bliss bath amenities, infinity plunge pool and sundeck. Epicurean at every turn, W Retreat & Spa – Maldives boasts an overwater signature restaurant, all-day dining venue; BBQ restaurant; sunset and pool bar; and 15 Below, the only underground nightclub in the Maldives, literally located 15-steps below the island’s surface, offering more than 90 varieties of vodka and glowing cocktails. 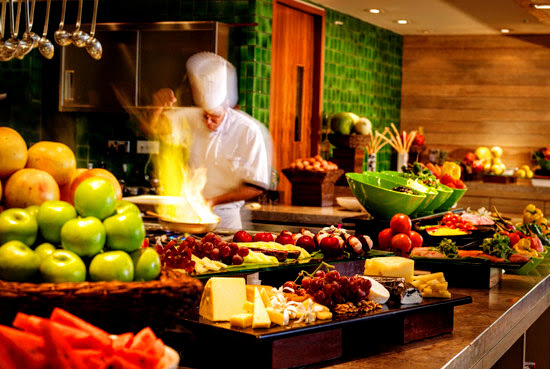 Director of Cuisine Paul Lewis takes the helm in creating culinary concepts, Fish, the newly restyled and elegant speciality overwater venue, features ‘Ocean To Table’ cuisine with a strong focus on the freshness of the local catch prepared with a SouthEast Asian flair. Signature dishes include Tuna Chutoro, Chili and Ginger Aioli; Abalone, Orange Miso Marmalade and Tempura Crumb; Sea Urchin with Black Vinegar Pearl; and Bone Marrow Mantau with Braised Octopus. 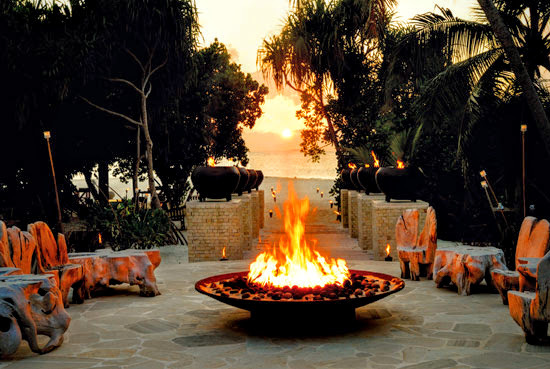 Set by the beach, Fire offers a romantic and casual dining experience. With a combination of BBQ alternatives such as charcoal grill, tandoor and spit roast, this venue highlights top quality premium meat, poultry and park in a steak house and chop shop format. The award winning restaurant Kitchen features a unique and modern reinvention of the bistro, offering Pan Asian dishes with a focus on Southeast Asian cuisine. 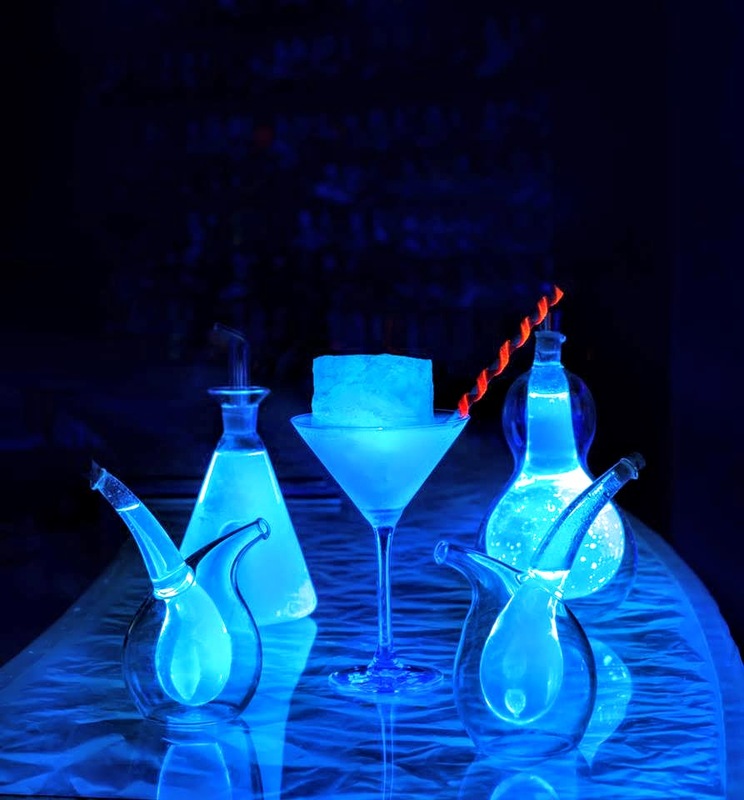 Propagating the contemporary cocktail culture, W Mixologists concoct signature drinks and fresh cocktails, with offerings developed by Vikas Kumar in collaboration with Grant Collins, one of the best mixologists worldwide. WET the glamorous outdoor lounge and pool bar electrifies the moment with a large collection of innovative cocktails largely based on Maldivian and tropical ingredients. A sense of sophistication takes over during twilight at SIP, the sunset bar, featuring champagne, martinis, home brewed infused spirits and spectacular glowing cocktails Chilled beats, pulsing energy and decadent drinks continue well into the night at 15 Below, the place to mix and mingle, and see and be seen. 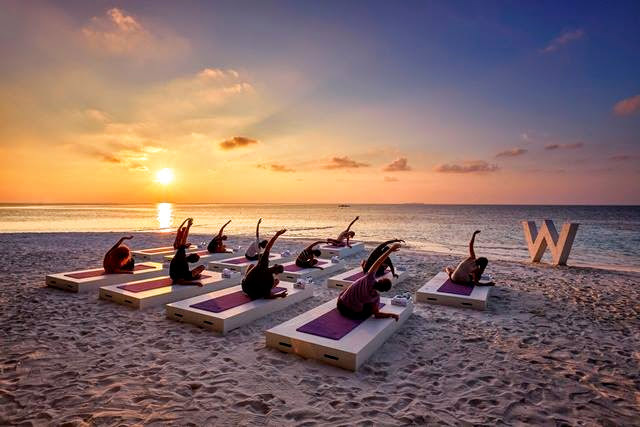 True to W Hotels’ signature programming that mixes pioneering design and passions around fashion, music and entertainment, the newly restyled W retreat & Spa – Maldives offers such lifestyle experiences thoroughly infused with the brand’s sensibility. The sumptuous talent wardrobe has been designed by famous fashion designer Tahir Sultan, whose innovation set him apart as one of the region’s premiere “Prê-à-Couture’ designers at Dubai Fashion Forward 2014. Visiting the Maldives, Tahir found his muse in the rich aquatic life, turquoise oceans and whispering white sands. Staying true to his own design ideology, Tahir meshes the W Collection with graphic printing technology, pure fabrics and rich embellishments, which take their reference from shimmering fish scales and pearls, and the blasts of colours from the corals and reefs. Tahir’s every ensemble resonates with his signature finesse and style, yet speaks of function, with a touch of playfulness. 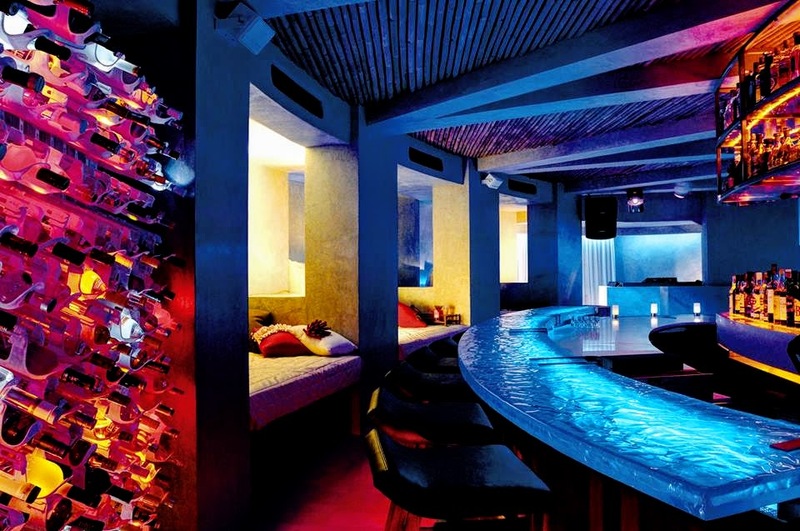 Other holistic lifestyle initiatives include the residency of renowned DJs, such as Scarlett Etienne, Silky and Erica Rhone, staples in underground and mainstream nightlife scenes; live street art by Alec Monopoly on the W Maldives’ speedboat and The W Store using glowing paints. 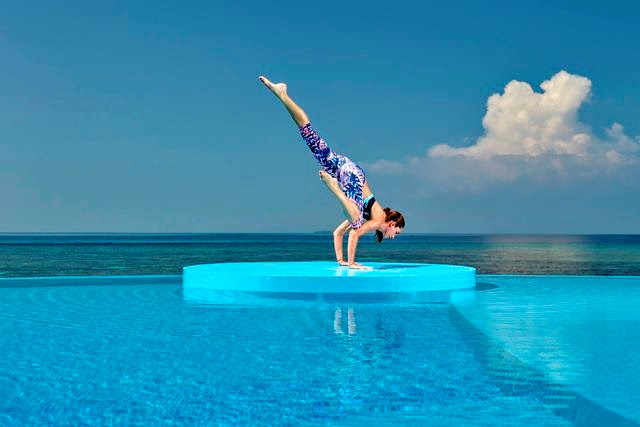 As part of the global collaboration for the W brand’s FIT approach, W Hotels in collaboration with Tara Stiles launched a wellness program including in-room videos and unique retreat packages. Other lifestyle initiatives also include the ‘five star signature facial’ by guest celebrity facial specialist Su Man Hsu. In addition, W Insider Chunky Mathew provides guests with the inside knowledge of the Maldives, going above and beyond to create exceptionally meaningful experiences. Rates start from US$2,285++ per night. A minimum stay of 4 nights is required. Guests may also embark on a ‘Robinson Crusoe’ experience on Gaathafushi, W Retreat & Spa – Maldives’ very own private island. Here, they can stay overnight on their own deserted island, intact and wild, with no TV or internet; indulge in exquisite serenity, exploring the surrounding silent lagoon before hanging on the beach; and unwinding like never before with a glass of champagne and the best sunset views, while their own private chef sets up a special candlelight BBQ dinner. 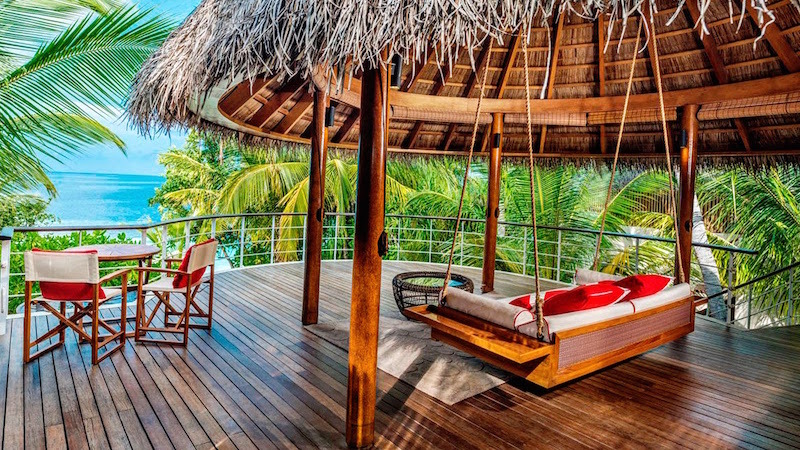 At night, the activity of choice includes star-gazing, before falling asleep under the thatched roof, feeling the fresh breeze of the Indian Ocean. Natural wakeup calls are attuned to the languid pace of the island, with breakfast served on the white sand beach. Rates start from US$1,480++ per night. A minimum stay of 5 nights is required (Including 1 night at Gaathafushi island).